After a LOT of trial and error, I finally feel like I have perfected my makeup routine. I have products I love and a specific system of applying them. All that adds up to a method that makes me feel pretty and now I’m going to share my favorite products with you. 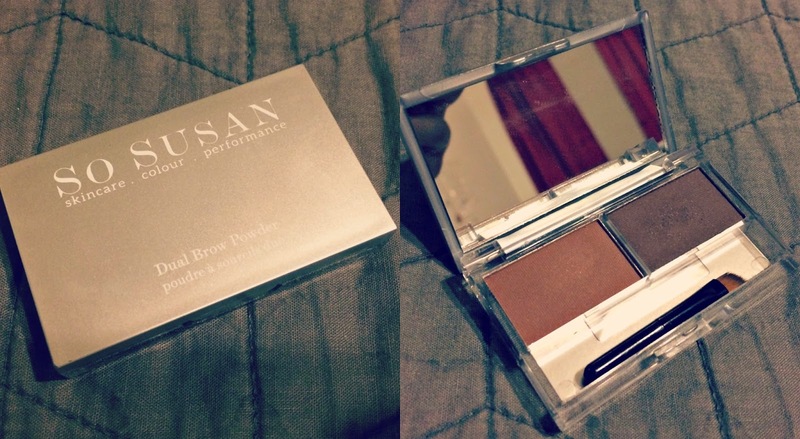 So Susan Dual Brow Powder – I have unwieldy eyebrows that are sometimes the scourge of my existence. Managing and maintaining them can be a chore but it’s always worth it when I do. I like to get them waxed every few months and just pluck in between visits. Even though they’re full, when I trim them they can be pretty patchy, which is where this wonderful product comes in. I used to use an eyebrow pencil that did the job but I wasn’t really happy with. Then this baby came in a Wantable subscription box and I was hooked. It fills in without being too much and the darker shade matches my eyebrow color perfectly. The very first thing I do in my routine is fill in my eyebrows. 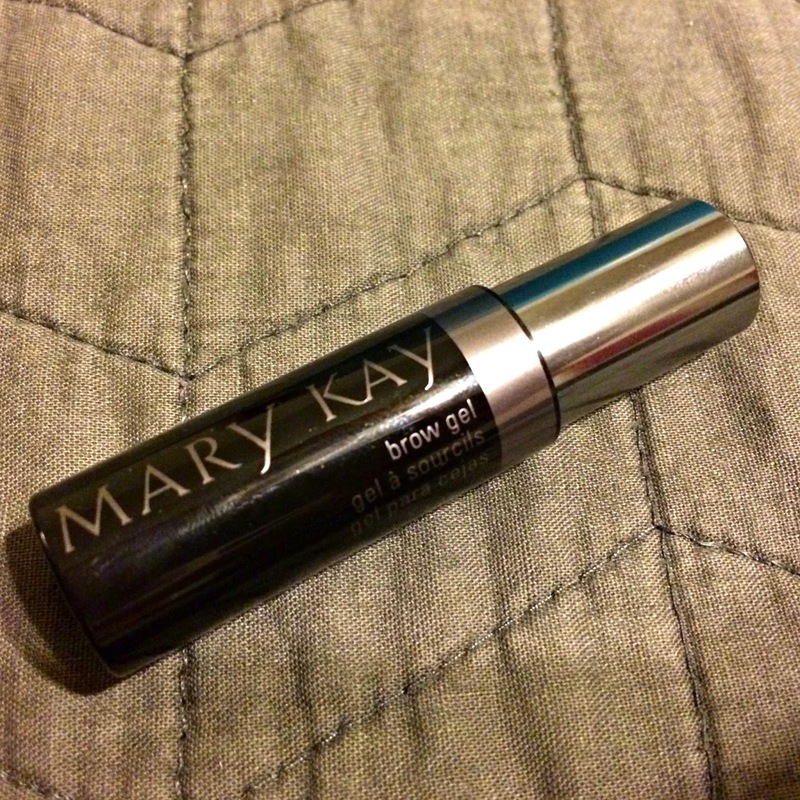 Mary Kay Brow Gel – This stuff is THE best. I’ve tried multiple brow gels and this is the only one I’ve found that lasts all day long. I just brush it slightly upwards on my eyebrows and don’t have to think about them the rest of the day. I love not having to worry about what my eyebrows are doing before someone takes a candid picture. It’s wonderful. 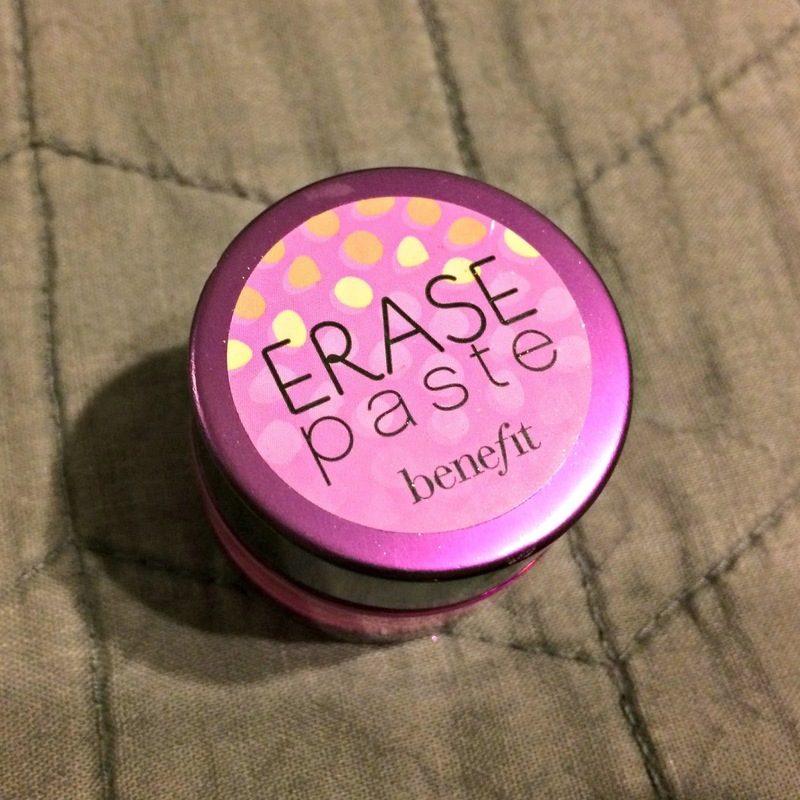 Benefit Cosmetics Erase Paste Concealer – Next comes the concealer! I love this stuff. It comes with a little instruction booklet that shows you the proper way to apply concealer and it was so helpful. This stuff does it’s job and does it well. I use my ring finger to dip into the paste then smudge it into the back of my hand to make sure it goes on even, then apply from in inner eye out, then the outer eye in. I’ve never been happier with a concealer. Too Faced Shadow Insurance Eye Primer– This has become key in my routine. I honestly don’t know how I ever lived without it. It goes on smooth and adds a little extra shimmer underneath my eyeshadow. Once you apply the eyeshadow you don’t have to worry about it creasing or fading the rest of the day. This stuff takes care of all that for you. It’s such a great product to have. 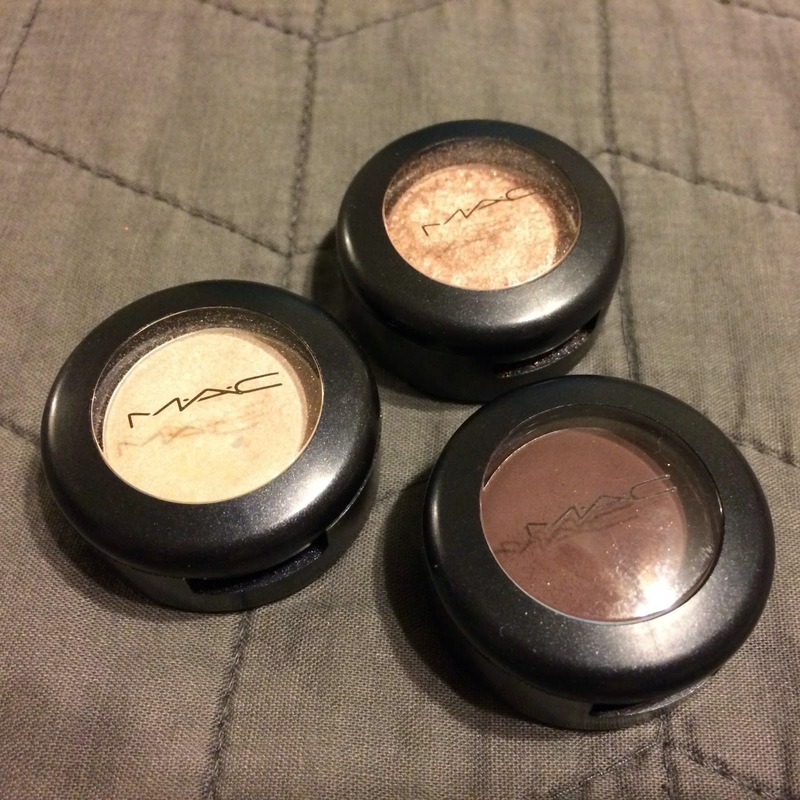 MAC Eye Shadows – First I start with the top right shadow, Honey Lust, using the top brush below, I put it all over my lid and a make it a little bit darker in the crease of my lid. Then I use the far left shadow, Dazzlelight , with the bottom brush below for highlighting right underneath my eyebrow and on the inner corner of my eye. Finally, using the square head brush and the bottom eye shadow, Embark , I press it on as as an eyeliner just on my top lid (the bottom only if I’m feeling fancy). MAC 217 Blending Brush , MAC 212 Flat Definer Brush , and Crown Deluxe Infinity Shadow/Crease Brush (comes in a set with 10 brushes). 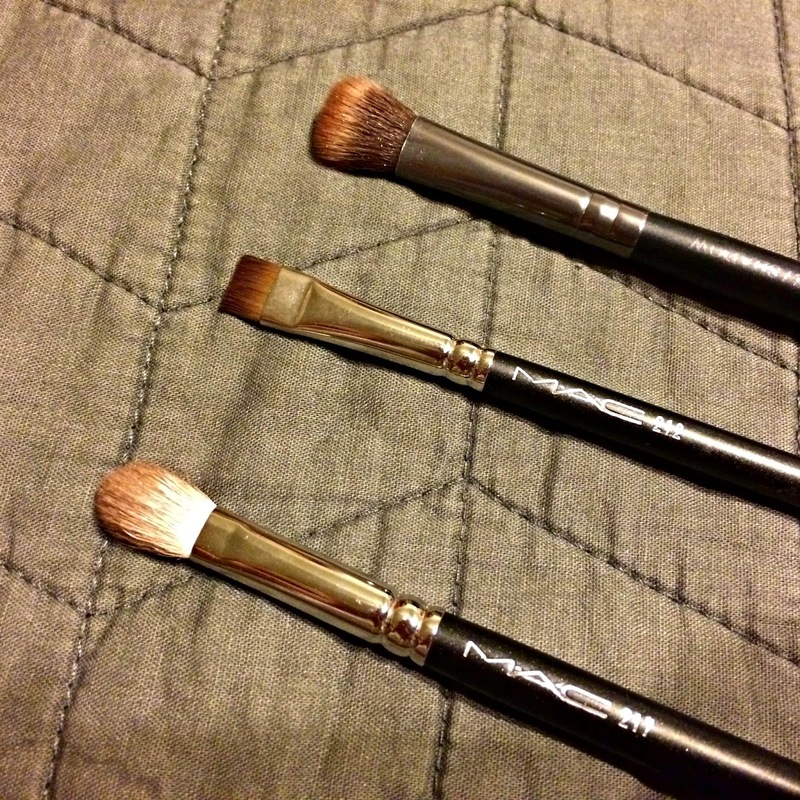 These three brushes are the ones I use every time I apply my makeup. I don’t think I could live without them. 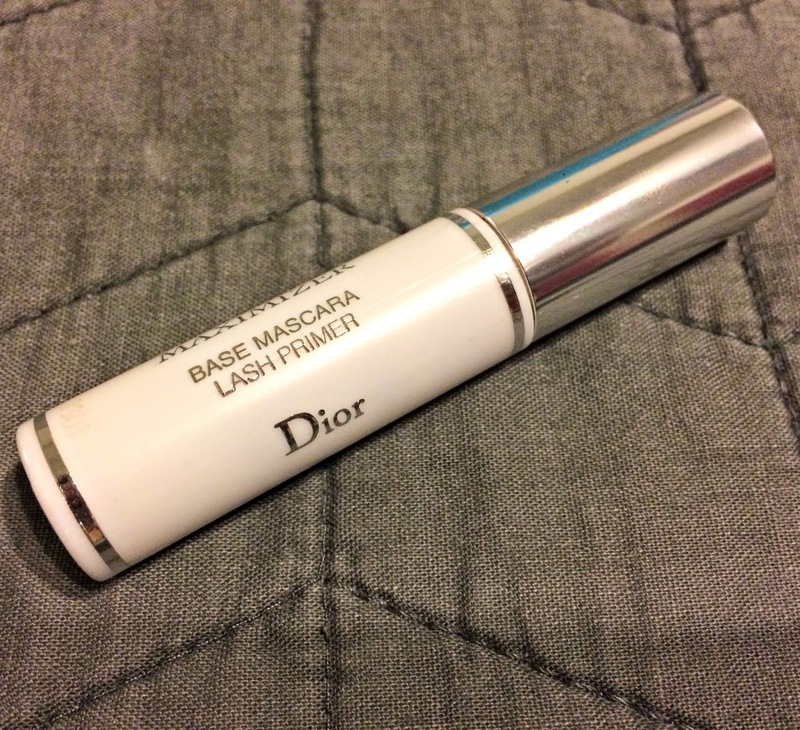 Dior Maximizer Lash Primer – After curling my eyelashes, I start with this primer. It’s one of my favorites. It goes on smooth and really helps extend the look of my lashes. I think there are probably better ones than this out there but I’m not ready to spend the money on them quite yet. This one does it’s job pretty well. 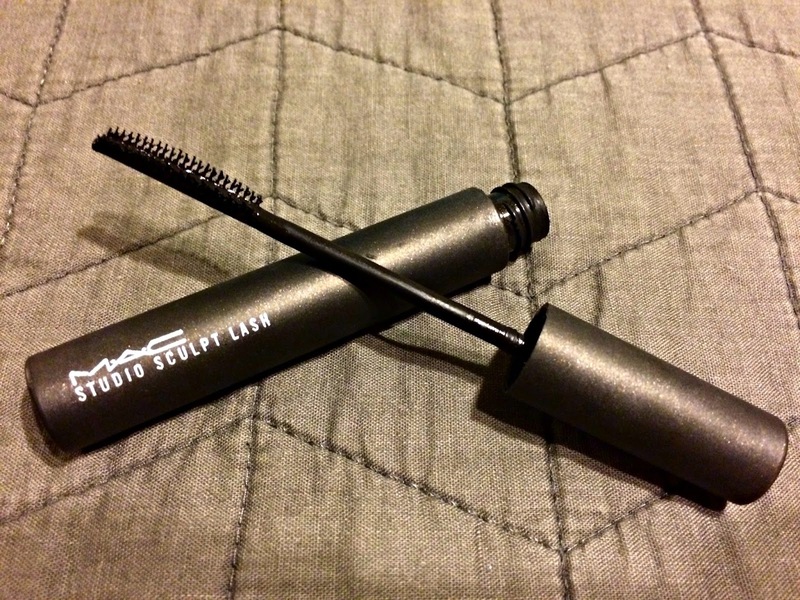 MAC Studio Sculpt Superblack Lash Mascara– And finally, we come to the mascara. I try a lot of different mascaras but I always end up coming back to this one. It’s really easy to apply and I like the consistency of the liquid. I’m not over the moon about it so I’ll probably keep experimenting until I find the right one, but this has been an old reliable for almost a year now. So there you have it! All you could ever want to know about my makeup routine! What are your favorite products to use in your beauty routine? That is a nice run down of products. You always look beautiful. But I had noticed in your pics lately that you looked especially lovely…and this would be the reason why. 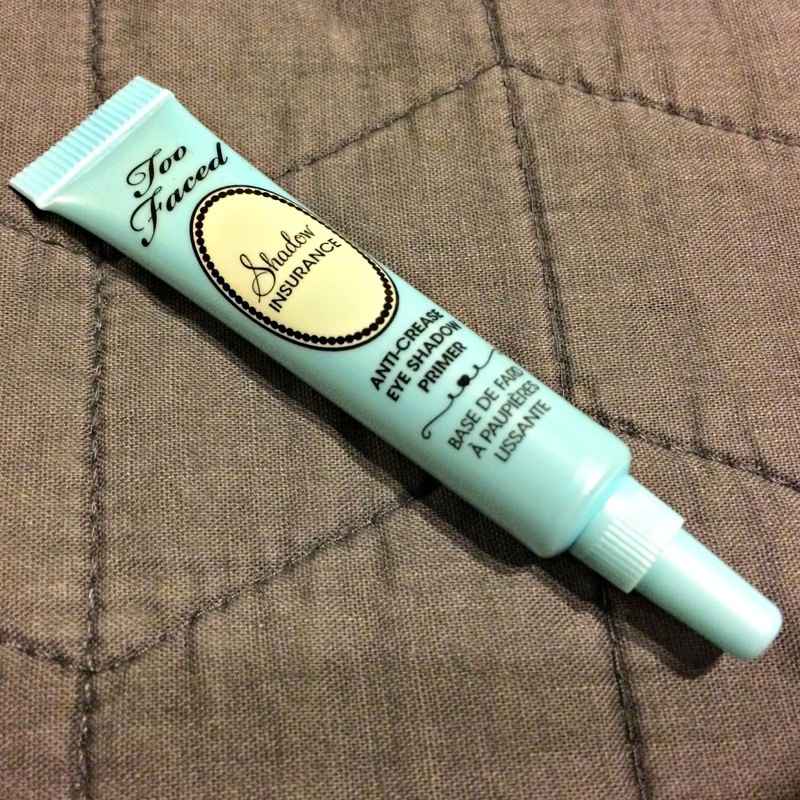 You’ve intrigued me with the Too Faced eye primer… I’m going to have to check that out! I’m forever frustrated halfway through the day with my eye shadow “travelling” outside of the eye area, lol!! !